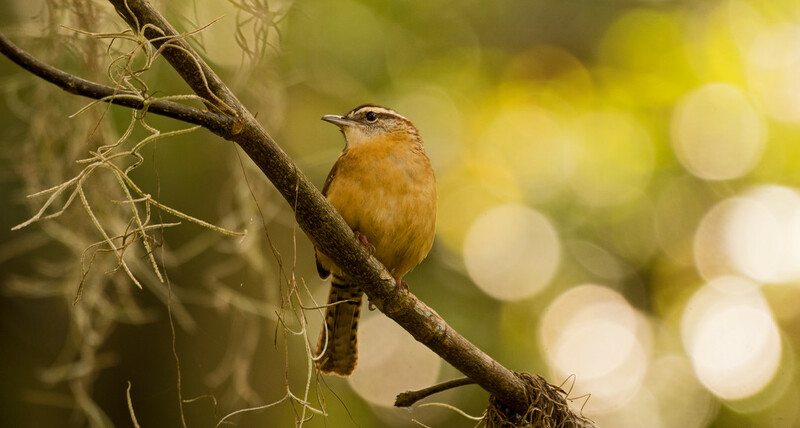 Carolina Wren in It's Singing Position! But just couldn't seem to get it when it was actually doing it's singing. But at least it turned around for a head on shot. So nicely composed, wonderful in colour and that bokeh!!!. Love it very much.